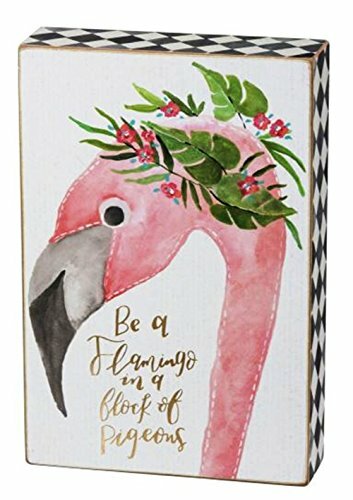 This wooden box sign features a pretty pink flamingo design and reads "be a flamingo in a flock of pigeons." You'll love its vibrant colors and inspirational sentiment. Use it to decorate any shelf or tabletop in your home; just think about how pretty it would look decorating your living room bookshelf or office desk. You could also buy it as a sweet gift for any flamingo lover.